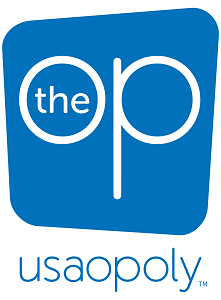 USAopoly (The OP) is a leading publisher and manufacturer of board games, collectibles, and puzzles. Our diverse portfolio includes award-winning and best-selling titles such as TELESTRATIONS®, TAPPLE®, HARRY POTTER™ HOGWARTS BATTLE™ and BLANK SLATE™, as well as licensed versions of MONOPOLY®, CLUE®, MUNCHKIN®, TRIVIAL PURSUIT®, CODENAMES, and more. The OP continues to partner with marquee brands and licensors such as Disney, Nintendo, Warner Bros., Cartoon Network, HBO, FOX, HBO and CBS. We are passionate about creating memories through games that bring together family, friends, and fans who love to play!